Back at the 2012 SHOT Show, I got to interview Diamondback Firearms founder and CEO Brad Thomas. I had been examining a prototype for the DB RTS tactical shotgun (that was eventually displaced in their line-up by the DB15 AR-15-style rifle). During our conversation, Mr. Thomas told me about their plans to develop a full-sized pistol. We are finally getting a look at it. 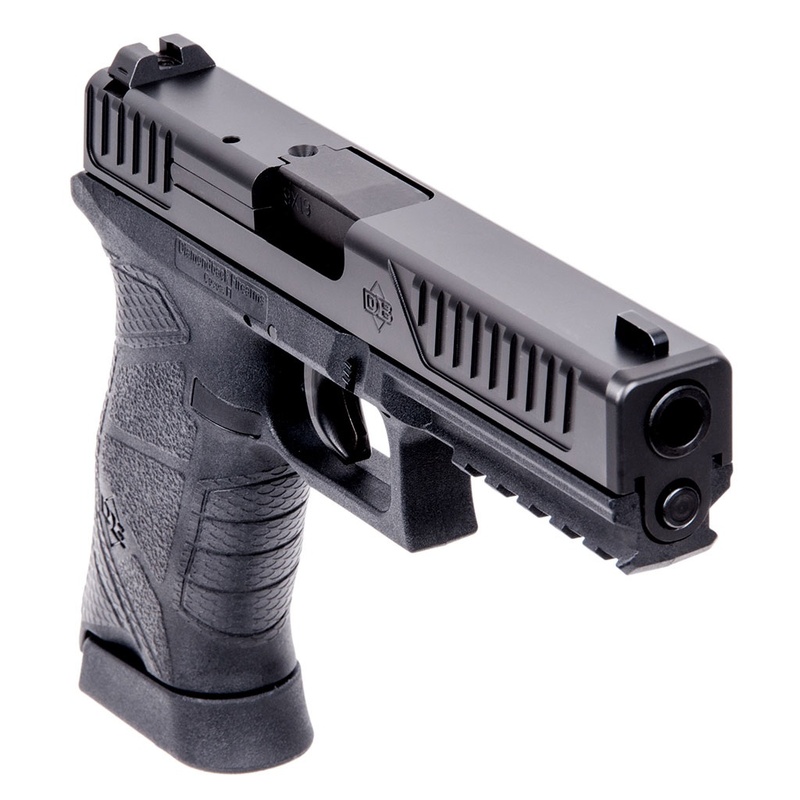 “This new 9mm pistol is a double-action, striker-fire designed platform that incorporates an ergonomically driven polymer double stack frame with a stainless steel slide. 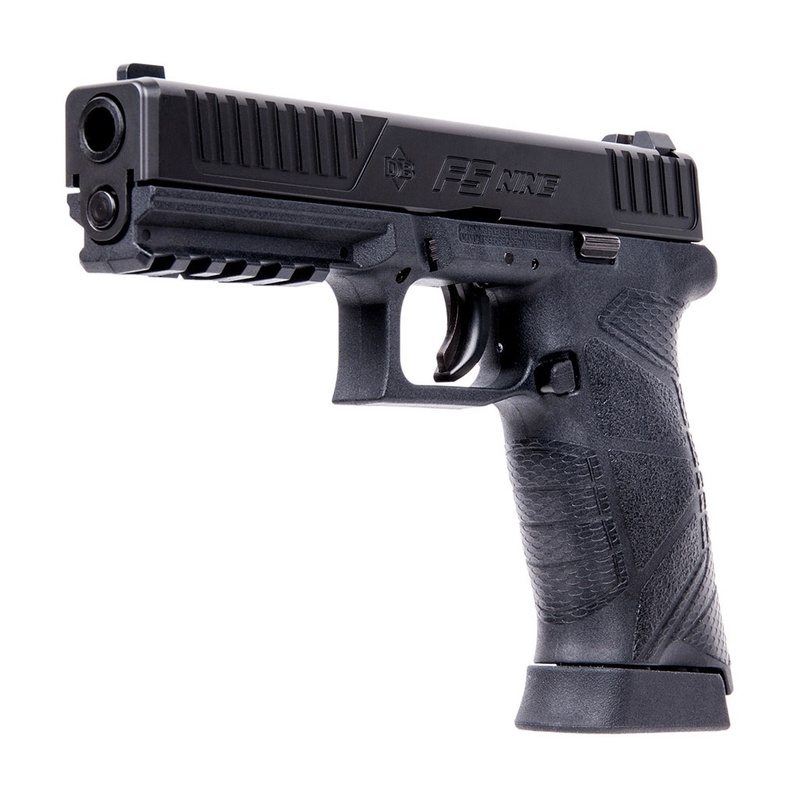 With extensive research on the form and function of the tactile-enhanced grip, the operator will find the design enhances control, while providing consistent hand placement. 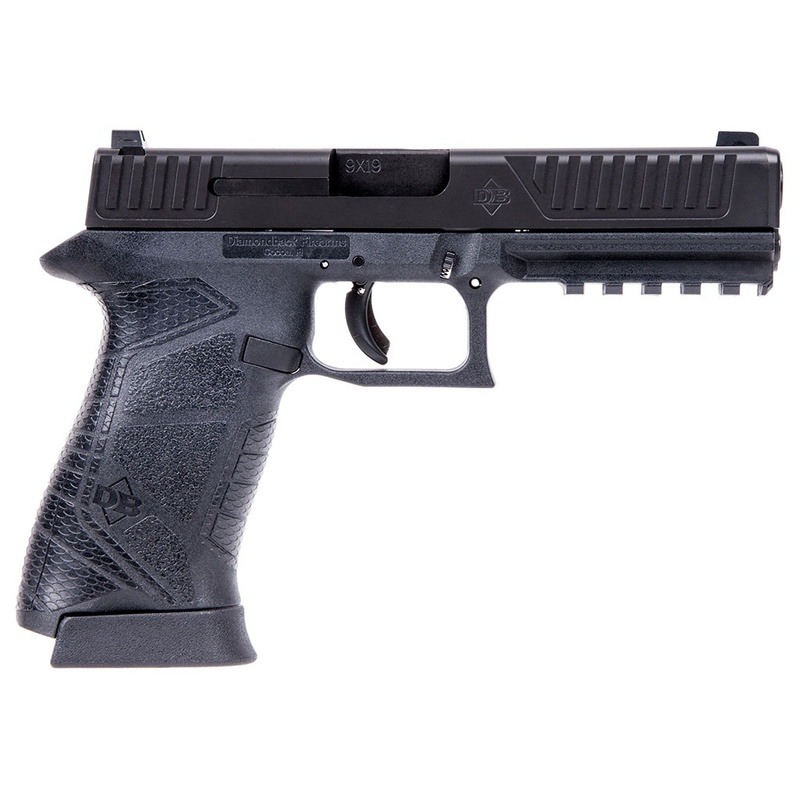 The flared magwell aids in fast and reliable reloads while the extended magazine base pad provides a secure grip during loading, handling and shooting the DB FS Nine. I will be very interested in testing one of these handguns. 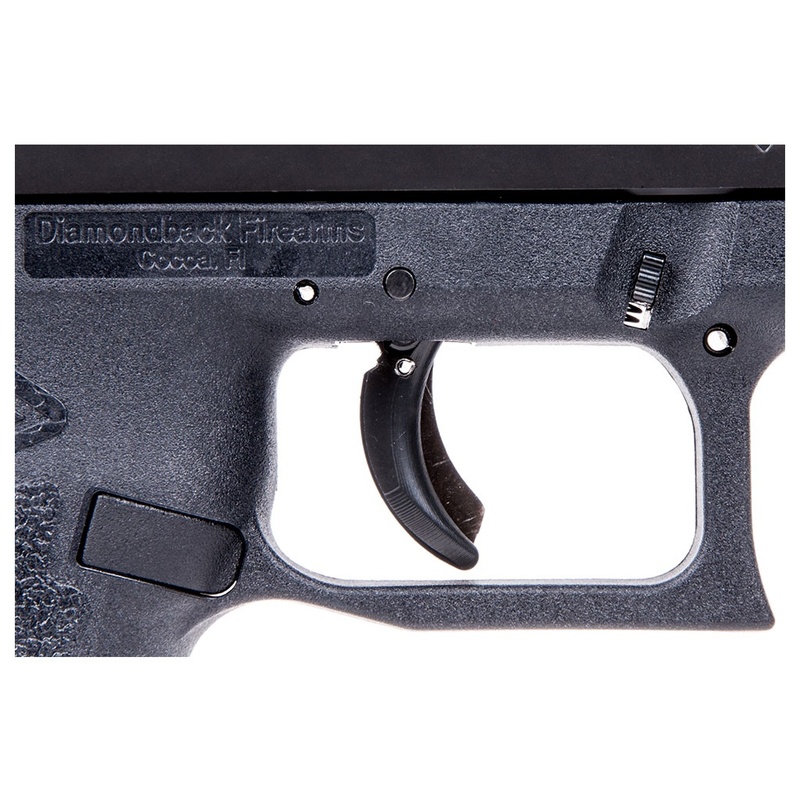 I have a Diamondback DB9 that I have thoroughly vetted and I can state that it has been very reliable in my long term testing. 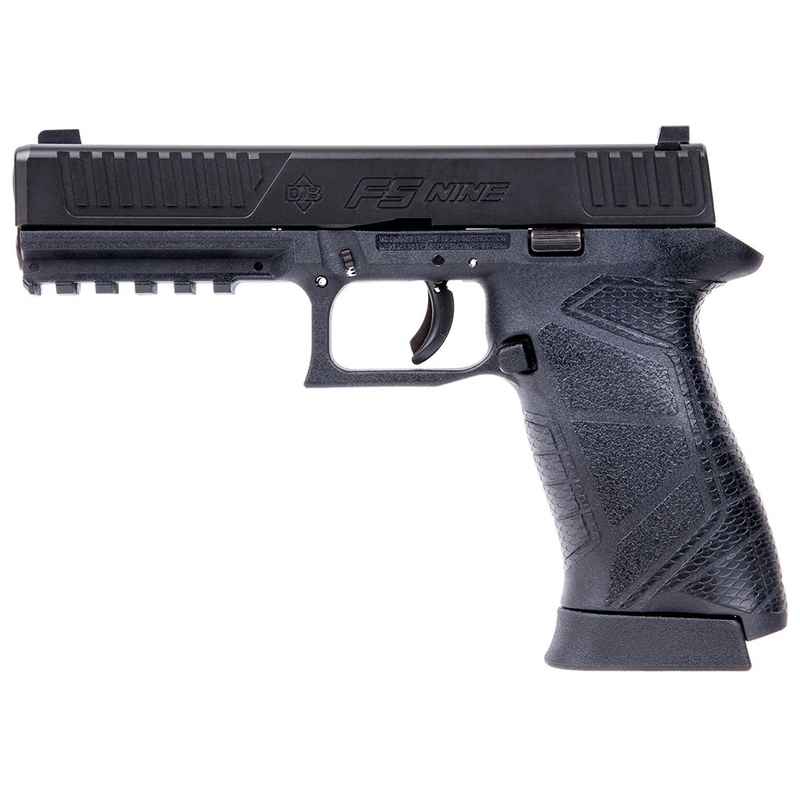 Diamondback lists the MSRP of their new DB FS Nine at $483.34. I do not yet have information on availability. 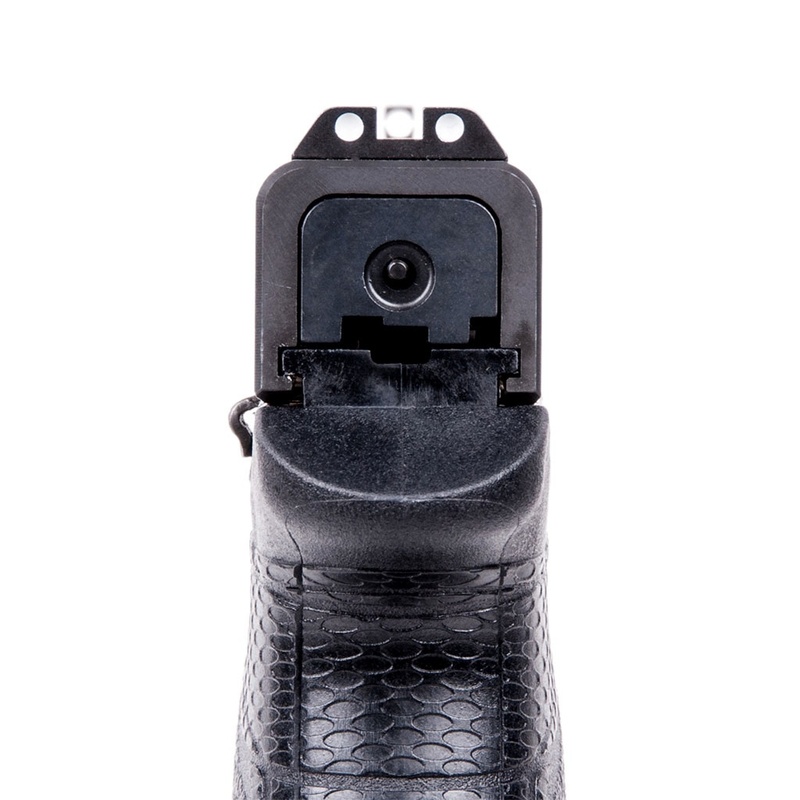 This entry was posted in Firearms, Off Duty and tagged Diamondback Firearms. Bookmark the permalink. 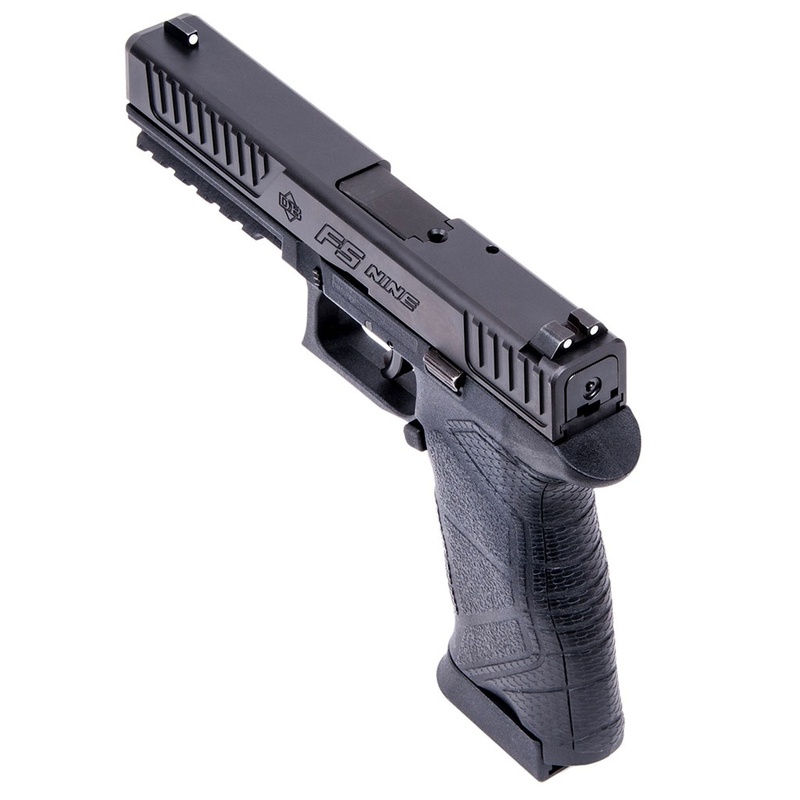 Looks like a cross between a G17 and a Strike One pistol. Pretty cool. I’ve seen them pop up on distributors websites, so far no luck in snagging one. I’ll let you know if I get my mitts on one.